These cute sleeping owls I made for the Illawarra Cancer Carers Craft Group to sell at one of their many market stalls. The owls also fill a practical purpose. Heat packs certainly don't need to be boring. They can be all sorts of fun shapes. I prefer heat packs to be filled with low allergenic rice instead of the more common wheat. You can heat them in just the same manner. I have a tutorial instructions written with lots of photos on how to make the minky owl as shown below on an earlier post here. 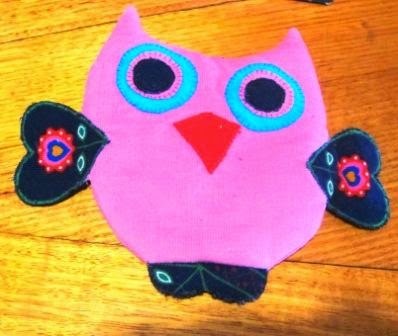 These instructions will be easily adaptable for the even simpler owl design I made as shown above. Here are some other heat packs I have made in the past. I am sure they wont be my last. 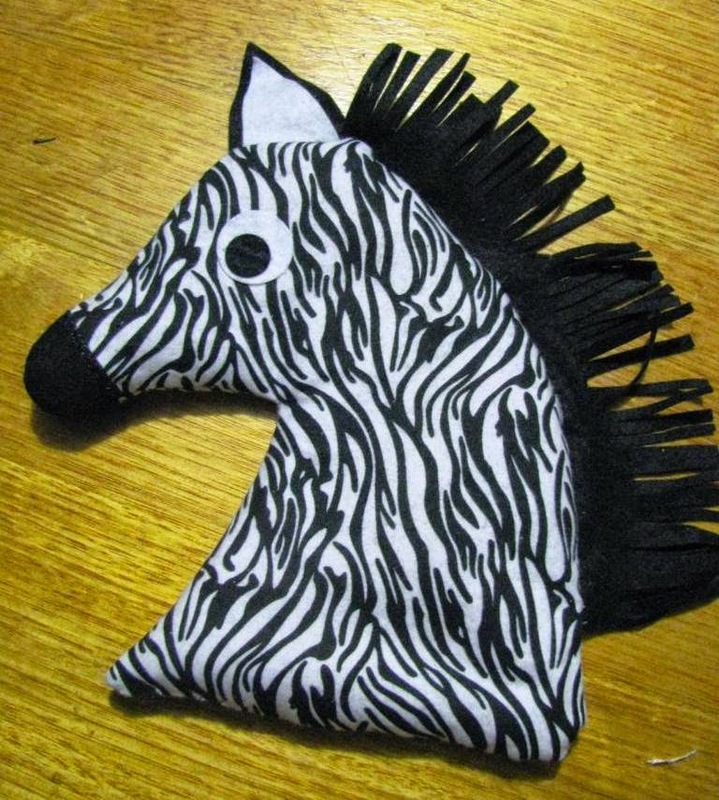 At the time of writing I have just one zebra one left for sale at $15 plus postage if you are interested then drop me a line. You certainly are keeping busy! I love the owls (and the bag!). Can't wait to see you on the road again. PS Kick all those so called friends and make new ones. You are one terrific person and dont let some rotten apples infect you with their poison! Thanks Sandi, The Crafty Carers have been a huge part of my therapy and recovering self esteem. I have left that group of non caring people and have started meeting new people again, hopefully some will become caring friends.